Today I'm so excited about sharing with one of my besties, Andrea! 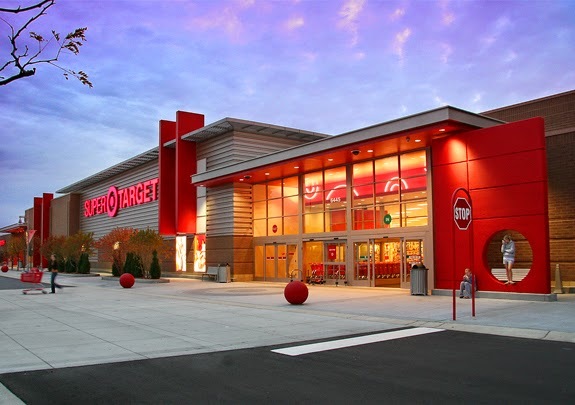 We're sharing our FAVORITE THINGS from Target! Who doesn't love Target, right?? This should be fun! You can join us! Just blog your favorite thing or things from Target, link back to us, and join the link-up! Mark these on your calendar, ladies! Who doesn't love this store?? 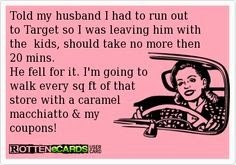 I found a couple funnies about Target. I completely agree! For real!! Going to Target alone is like entering a time warp. I lose track of time and by the time I'm leaving hours have gone by!! First up is the Dollar Spot. Why, oh why, do I always check this area out? ha! I very rarely ever purchase anything from this spot but I ALWAYS look. First stop, I browse through the aisle of scarves. 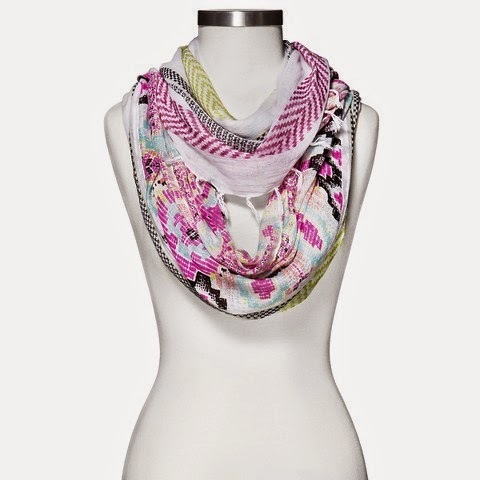 This aztec scarf with spring-y colors is cute! Then I always walk through the shoes. You never know when you're going to find a hidden treasure on a Target shoe aisle. 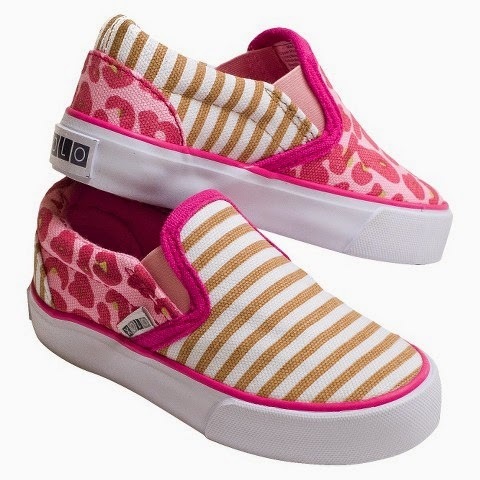 These toddler girl shoes are so cute for spring. I always walk down the aisle with these "fancy" cleaning supplies. I'm not sure if "fancy" is the right word, but you know what I mean?? 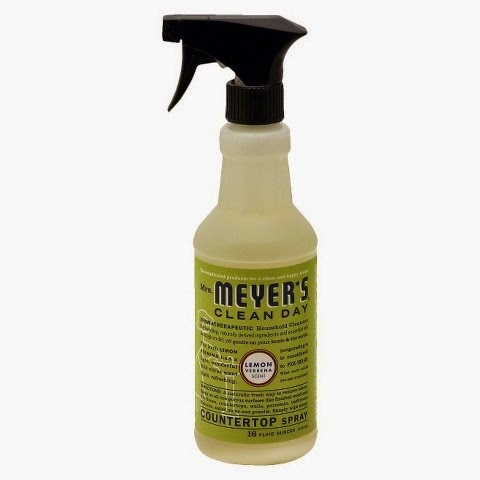 If you have to clean the kitchen and scrub the toilets, you should use some products that make you happy, right? New fun Essie polish always finds it way into my cart. Always. If you've been reading here a while, you know these maternity tanks are always my favorite. I have a long-waist and they are the perfect thing for layering! Long and lean tanks are also another favorite. There's usually a much bigger selection of colors in this tank. These skirts are adorable! I saw the pleated one on the left in the store and should have already snagged it. I've seen similar skirts at lots of other stores for a lot more money! What about swimsuits and cover-ups? This one is a fave! I'm loving the ruffle/fringe tops this year. I'm always a big fan of the mix and match swimsuit section at Target. Right now you get buy one, get one 50% off! If you're like me and at the pool almost everyday during the summer, then it's nice to throw some more reasonably priced suits in the mix. Another cute option from that collection. I think Shay blogged about these little cups sent from heaven. She called me a while back and insisted I get some from Target. I did and was so thankful. My kids love them!! And they make a snack/drink so easy. Those are my faves from Target. Can't wait to read yours!! Don't forget to check out Andrea's faves as well! 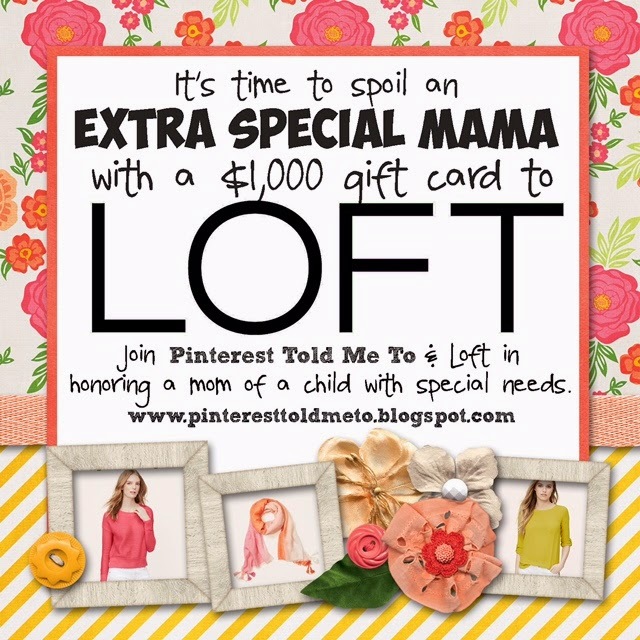 And...head over to Sheaffer's blog to read all about how Pinterest Told Me To is partnering with Loft to give an extra special mama a HUGE shopping spree!! You had such great finds at Target!! And listen, those Snackeez are amazing right? I pretty much steal my kiddos' every day and use them too! First of all, I don't know how you did it, but you actually got me excited to buy COUNTER TOP spray! How have I not purchased this before?!? 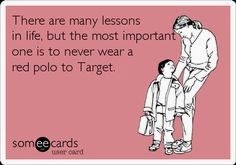 Secondly, you know how I feel about Target cover-ups. I HEART THEM IN A BIG WAY. Can't wait to see which one I get this year. Love the one you highlighted! Finally, thanks for linking to my Special Mama giveaway! I want as many special mamas to enter as possible!!!! Yay for a snow day. 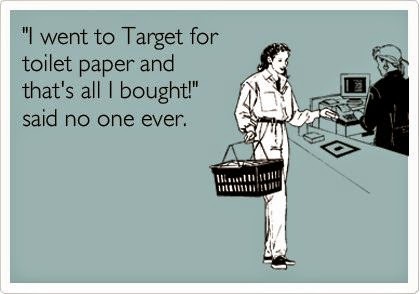 We had 2 last week, and two days with a delayed opening, sadly we are back to reality this week;( love your target faves..I mean who doesn't love target!!!! I shop the same way! Plus, I always stop in the seasonal section. I have a weakness for themed cupcake liners and sprinkles. It's insane. PS I want those strip and leopard print shoes in my size! I totally forgot to blog and link up with y'all today! But, I could just copy your post because I 100% agree with everything!!! Have a super fun day at home! So excited for y'all that you got a SNOW DAY!! I love your target picks especially the skirts, and cute toddler sneakers! I already bought the Snackeez cups after shay posted about them and my kids LOVE them!! Love your picks. 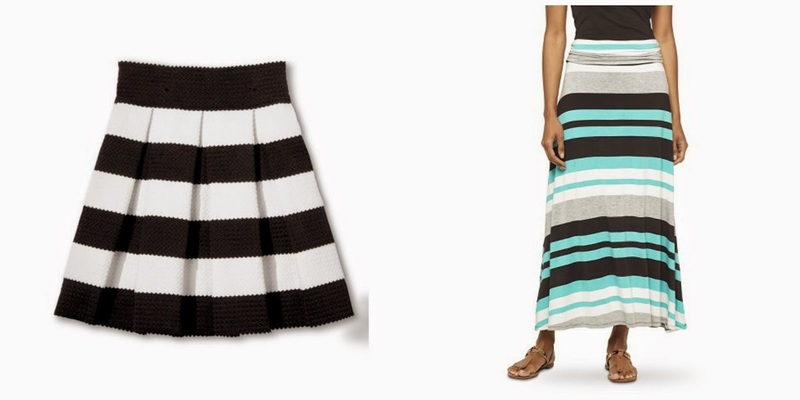 I've seen that short black and white skirt at so many places. So much more affordable! Love your bathing suit picks too. I love Target! I tried on the short stripe skirt and didn't like it. It's a weird material. The skirt puffed out and it wouldn't flatten. If you try it on you'll see what I'm talking about. Thanks for the fun Target finds!! 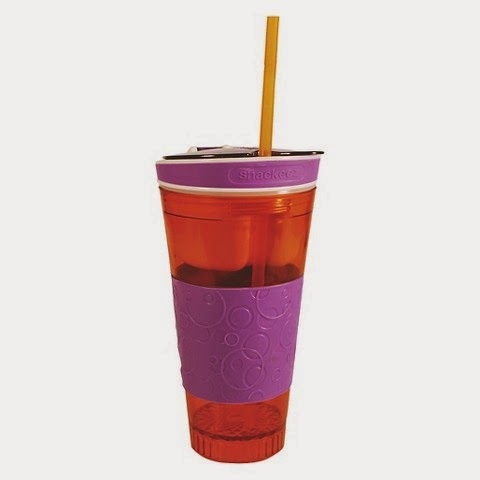 LOVE the snackeez cups too! They are great for my young kiddos!!! Thank you so much for hosting! I loved all of ykur suggestions, I have a feeling I am going to get into even more trouble this week at Target with all these finds. I have to say this is my FAVORITE favorite things! I adore Target and love seeing all the great finds from everyone! Thanks to you and Andrea for the fun Monday post! I love that pink Aztec scarf! I LOVE the little shoes! I am going to get some for my daughter! 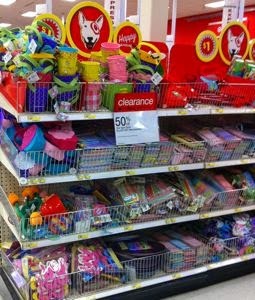 Love love love Target! I love that ruffled swimsuit. I'm going to check out those long tanks. I'm desperately in need of some.